As published in the Hull Daily Mail on Wednesday November 30 2016. Mark Parkes, group managing director of Bostonair, shares why he is pushing to improve the city as a #MakeHull Pioneer. My great grandfather, Sir Fred Parkes, a resident of Boston, Lincolnshire, acquired a small fish merchant business in the 1910s, and by 1924, had acquired The Boston Deep Sea Fishing and Ice Company, which was founded in 1885. The company originally operated four steam fishing trawlers, which landed their first catches in Hull in 1886. The company’s headquarters were then successively located at Boston, Grimsby and Fleetwood. In 1963, the company finally came to Hull, taking over the offices of the St Andrew’s Steam Fishing Co building at the entrance to St Andrew’s Dock. This company ultimately became the largest privately owned fishing vessel operator in the world through acquisition and organic growth. The old Boston Company was reorganised in the 1970s due to succession in the family and the decline in fishing. The family sold the remainder of their fishing interests in the early 1980s and Bostonair Ltd was formed in 1982 after the St Andrew’s Steam Fishing Co was renamed. Bostonair started life as an air charter company, which continued until 1998 when the company changed course to supply engineers and technicians to the aircraft industry. Since 2006, our offices have been located in Beverley, and this September, we moved into Norwood House, Beverley. The company in now active in the commercial airline maintenance sector and in the energy sector supporting wind farm construction and maintenance. Another of our businesses – Boston Renewables Ltd – develops commercial scale solar, wind and battery storage. As a group, we employ 35 people at our offices in Beverley and 250 technicians in the UK and Europe. 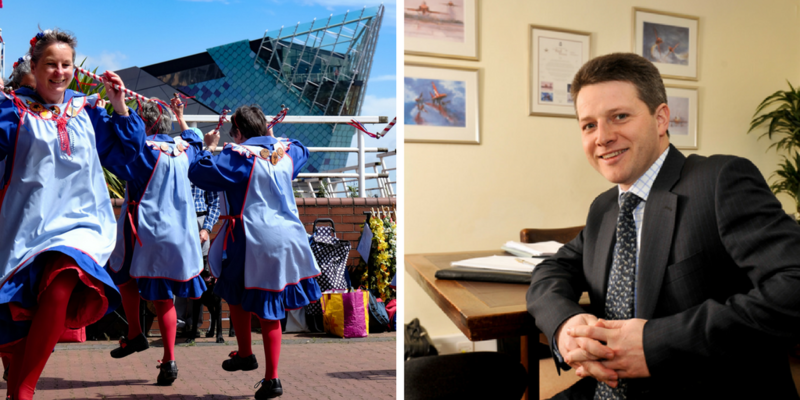 We see Hull as a vibrant, exciting city full of fantastic people that is going through a period of regeneration and significant inward investment from business and as part of the UK City of Culture 2017. In fact, Hull was voted recently the eighth best city to live in in the world by Rough Guides, alongside esteemed cities such as Seoul and Nashville. Successful cities are driven by aspirational 25 to 40-year-olds and it is these people the city needs to retain and attract. The #MakeHull initiative is about making local people realise they can make a difference to the places and spaces around them. People need to be inspired about making change and, hopefully, this initiative, along with City of Culture 2017 and the various other positive factors, will be a catalyst for the city. The opportunity Hull has now is probably better than at any time since the 1960s and it is all our responsibilities to make the most of that. Our advice for people in Hull is don’t just talk about the changes you want to see in the city but get involved. Visit www.spacehive.com/MakeHull to see how you can bring an idea to life. Get your friends, colleagues and local community involved and make them aware of the opportunity. This is your chance – don’t waste it. Famous names such as Amy Johnson and William Wilberforce, who originally hailed from the city, ended up helping to change the world, not just their home town. Hull as a city is changing. The Energy Estuary initiative, Hull Bondholders and Siemens have created massive inward investment and there is more to come. This comes alongside some of the more established sectors in the region such as pharmaceuticals, caravan building and the food processing industries. New digital businesses are also being created so the opportunities for young people to get into high-quality, well-paid jobs has never been better. With a thriving university, there is huge opportunity to retain this talent and make sure it’s not lost to other areas in the UK. Making Hull and the surrounding area an attractive place to live, work, socialise and raise a family is key to the future success of the city. The redevelopment of the Marina area, Fruit Market and The Deep are all great examples of what can be achieved. We have 21st century workplaces intertwined with attractions, places to meet and places to socialise. We need to do more of this and resolve the issue of the A63 dividing the city in the way it does now. I really hope that everyone grasps the opportunity we have and thinks about what they can do for Hull, however big or small. There has also been far too much piecemeal development in Hull without a vision or strategy. I am hopeful this is beginning to change with new big ideas being brought forward by both local communities and the private sector. It will be key for public-private partnerships to be established to agree a vision and work together to deliver it. If you have a great idea to help transform Hull, upload your idea at www.spacehive. com/makehull, start crowdfunding and you could receive pledges from #MakeHull, the Esmée Fairbairn Foundation and Growing a Greener Britain of up to £15,000 to help you achieve your goal.